For countless years people have valued the stable, nutrient-rich fats which came from the animals they raised. Even until recently, beef tallow was the chosen fat in the Western food industry (fast-food restaurant chains included) for high-heat frying and cooking due to its legendary stability and delicious flavor. Following untruthful yet damning information from the U.S. government around the 1970s, however, tallow and other vegetable fats rapidly attained an unfair stigma. 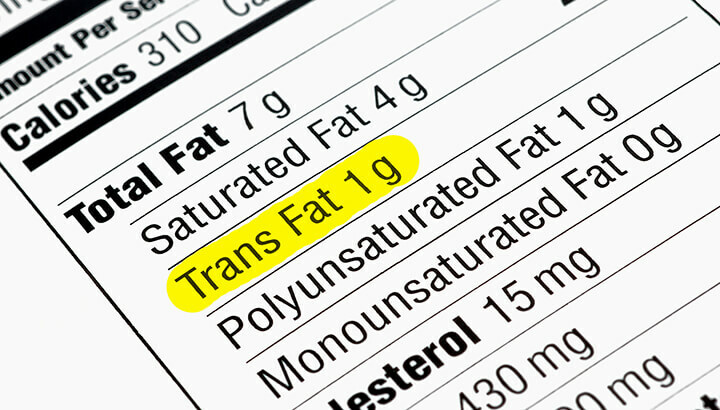 The vegetable oil industry swooped in, promising a ban from supposedly unhealthy saturated fats but in truth bringing in a far more dangerous era of trans fats. Unsurprisingly, heart disease and cardiovascular conditions skyrocketed, despite the western world turning its back on saturated fat. Even though the original report alleged that saturated fat was harmful to our health, scientific evidence continued to suggest otherwise. As the irrefutable evidence in support of saturated fat began to pile up, governments around the world slowly began to change their stance on the matter. While the U.S. government has taken back much of its hatred of animal fats and other oils containing large amounts of saturated fat, the long-standing stigma has become so ingrained in the American psyche that most people still can’t bring themselves to recognize just how important it is for their health. Well, folks, it’s time to erase the dietary mistakes of the last 40 years and bring something which is overwhelming good back into our lives. Saturated fats, when they are sourced from happy, healthy, free-range animals, provide a vast array of vital nutrients, energy and body-supporting compounds. Perhaps more importantly, they do not make you fat! Beef tallow can be one of the healthiest and most versatile cooking oils you have in your kitchen, provided you source it from the right animals. 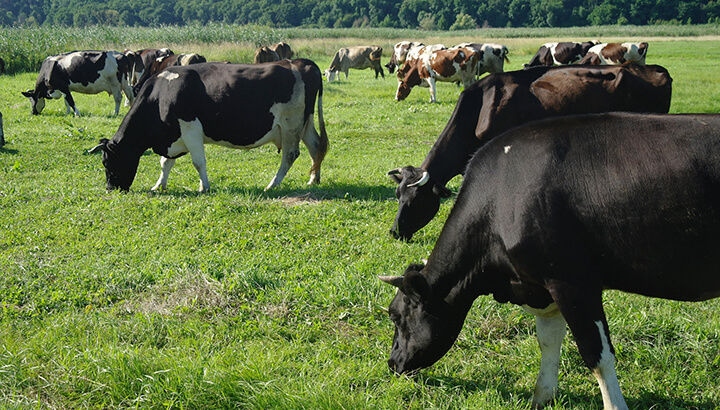 Your beef tallow should come from grass-fed, organic, humanely-raised cows, and should be minimally processed. If you get your hands on some quality tallow, here’s some of the wonderful things it can bring into your life. Compared to other fats and cooking oils, beef tallow is amazingly cheap. Due to the unwarranted fear that tallow and other animal fats still elicit in most people, it’s in low demand, and what tallow you can get your hands on is always cost effective. In some cases, it’s even free! While back in the day butchers would have recognized the value of tallow and priced it accordingly, today’s meat dealers are either throwing the stuff away or selling it for pennies. Head down the right butcher and they’ll probably be happy to give you a big tub of the stuff for free! Just make sure you only use the tallow from organic, grass-fed cows, as many of the toxins can be transferred to the fat otherwise. There would have been a time when a heading like that might have sent people running for the hills, but that time is happily over! Beef tallow is one of the best sources of healthy saturated fats, which provide an excellent energy source for the human body. While our bodies can run on both glucose (sugar) and fat, they function far more efficiently on fat… and the best kind is saturated. Many of the most common diseases plaguing Americans today, including metabolic syndrome, diabetes and non-alcoholic fatty liver disease, are caused by an over-abundance of dietary sugars and a lack of nutrients. Sugar breeds addiction, causing people to become more and more reliant on sweet foods and therefore more and more unhealthy. Getting plenty of saturated fat from sources like tallow helps to break that addiction, triggering satiety hormones, providing bucketloads of nutrients and forcing your body to function more efficiently. It might not be much to look at, but beef tallow is dynamite when it comes to keeping the ravages of cancer at bay. Research conducted by the Department of Cell Biology and Human Anatomy at UC Davis indicated that beef tallow prohibited the development of metastatic breast tumors. The study found that mice fed conjugated linoleic acid (CLA) in conjunction with beef tallow had fewer metastatic breast tumors than another group which was fed a vegetable fat blend. Scientists from the study concluded that the fatty acids in the beef tallow “may increase the efficacy of dietary CLA in reducing mammary tumorigenesis.” In short, the saturated fat in beef tallow enabled the mice to more efficiently break down and utilize essential nutrients, giving them an advantage over the growth of cancerous tumors. Historically, beef tallow was used as a key ingredient in skincare concoctions and recipes. In fact, many companies continue to use it in their high-cost beauty products today, although they’d be hard pressed to admit it! Much of the skin-nurturing benefits of tallow are owed to its surprising similarity to our own skin cells, with both beef tallow and our skin containing 50 to 55 percent saturated fat content. This means that a lot of the nutrients contained in beef tallow head straight to your skin, helping to maintain skin integrity, tone and elasticity. 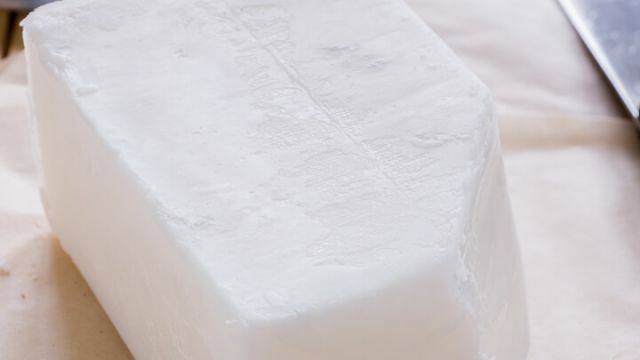 In addition, tallow is chock full antioxidants and nutrients, including vitamins A, D, E and K. It also contains palmitoleic acid, which has anti-microbial properties, and conjugated linoleic acid, which is super anti-inflammatory and helps prevent certain cancers, including those of the skin. For this reason, tallow is one of the most powerful skin-nurturing products in the world. And the best part? It’s completely natural! First, you need to find a good place to get your beef tallow. 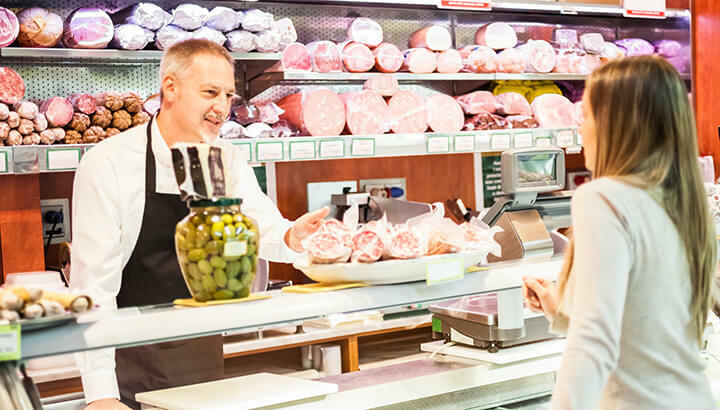 Certain butchers pride themselves on stocking good quality, organic, grass-fed beef, so they’re often a good place to ask whether they’re willing to sell (or give!) you some tallow. If you can’t track down any good butchers, join a good farm cooperative — these are a great way to get meat and other farm products straight from the source, and they’re usually composed of farms which only use sustainable farming methods. Check out this article for more information on farm cooperatives. If none of that works out and you can’t source some good quality tallow, simply save any grass-fed beef fat you don’t eat and use it to make your own. The following video walks you through the steps of making tallow from suet. Store your rendered beef tallow in the fridge when you’re not using it (it will turn hard when cooled below room temperature) and simply scoop out a healthy chunk when you’re ready to cook with it. Place it in the pan, set to low heat so that it melts and covers the pan and start cooking! It’s great for stir-frying, sautéing, roasting, grilling and just about anything you can think of which requires high heat! Still not convinced that saturated fat is good for you? You should probably read this article then! Hey Buddy!, I found this information for you: "4 Reasons To Eat Organic Beef Tallow And How To Do It". Here is the website link: https://www.thealternativedaily.com/4-reasons-to-eat-organic-beef-tallow-and-how-to-do-it/. Thank you.